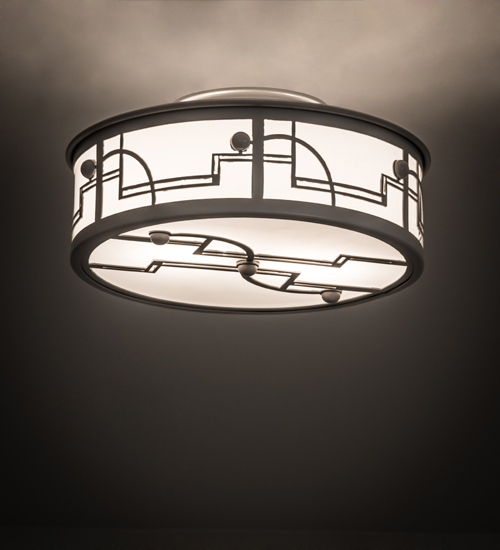 Description: This stylized ceiling fixture with straight lines and curving shapes is reminiscent of the high art of the Art Deco era. The charmingflushmount, which is finished in a Nickel powdercoat, features Statuario Idalight panels, and is handcrafted by highly skilled artisans in our manufacturing facility in Upstate New York. Special sizes, colors, styles, sizes and dimmable energy efficient lamping options such as LED are available. The 12-inch wide fixture is UL and cUL listed for dry and damp locations.